The upgrade season is here. 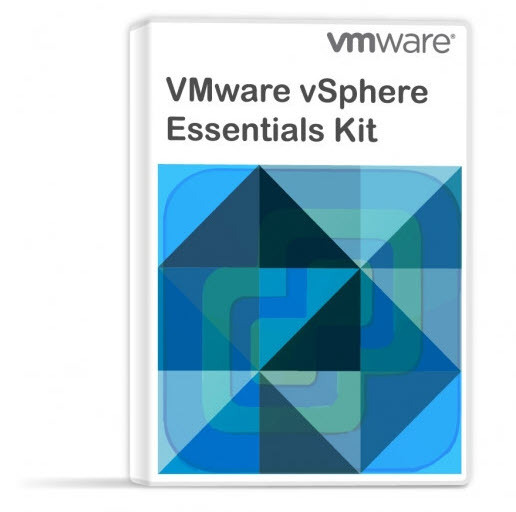 VMware has released vSphere 6.7 and soon first backup/monitoring products will be compatible. Time to learn some tricks before Installation or upgrade on VMware ESXi. You know that with VMware ESXi hypervisor you can test an upgrade. I mean run the upgrade without actually upgrading, and see the result. It allows you to check whether an upgrade would create some compatibility problems or so. It’s a good way to test, to preview the results, to see if your ESXi can actually be upgraded. The option can only be executed through CLI so if you’re planning to upgrade via VMware Update Manager (VUM) or upgrade via ISO, it won’t work. You’ll need an SSH access to your host and perform CLI upgrade. Well talk also about ESXi software profiles and how can we see details in each. You can use the –dry-run option to preview the results of an installation or upgrade operation. A dry run of the installation or update procedure does not make any changes but reports the VIB-level operations that will be performed. You can run this option when installing a whole upgrade package containing many individual VIBs or when you want to install a single VIB. Tip: Check How-to Install VIB on ESXi host which teaches you what is VIB and how to install/uninstall. We’ll do a test run in the lab on it so we’ll see how it goes. The output shows which VIBs will be installed or removed and whether the installation or update requires a reboot. As you can see, we have a message that it’s a “dry-run” only (not an actual installation/upgrade) and then there is the large list of vibs and drivers which will be installed. Completely at the end, there is also a message which shows which VIBs will be skipped during the process. How to list or remove a VIB? you might want to ask how to remove a VIB? Yes, all VMware partners have hose third-party VIBs to provide management agents or asynchronously released drivers. Verify the documentation of such a driver, and you’ll see that sometimes you’ll need to uninstall and reboot particular driver before you can install a new one. if an upgrade/installation of a driver requires a reboot and the host is part of HA cluster, you should disable HA for the host and put the host in maintenance mode. This will evacuate all running VMs elsewhere. You should care about network drivers as if you remove network driver you’ll most likely loose connectivity. Either you can log in directly at the console or use another pNIC from another vendor to assure connectivity while you updating a driver of the other pNIC. You can use the –rebooting-image option to list the VIBs and profiles that are installed on the host and will be active after the next host reboot. As you can see, there are quite a few CLI commands which give us enough details about an update package, profile, or individual VIB. The “dry-run” command is useful in situations where you want to know and test an update/patch before actually doing it. Remember, you still have the option during the boot process where you can revert back to the previous version, you can simply hold SHIFT + R and chose to roll back. Ok… I have to upgrade from 5.5 to 6.0 and followed all the steps… one of VIB skipped is related to network NIC (which is the only one, motherboard-integrated NIC, so cannot install other NICs). Didn’t pay attention at the dry-run test, I effectively upgraded and connection was lost. In fact, the main screen console showed the message “no compatible network adapter found”. Rolled back to 5.5. The adapter is a “Realtek 8168” and I found that Net55-r8168 vib file should be used replace the deprecated net51-drivers. My question is: should I upgrade to net55 drivers while in 5.5 esxi and then upgrade to 6.0? Can I do this without break connection? Or: copy VIB file (which is compatible with ESXi >= 5.5) locally, upgrade and then, using local console (ALT+F1), install the VIB? I know this is the wrong topic and I’m sorry but I need help. I decided to set up RAID-10 for my local ESXi 6.7 (VMFS) host. I am looking for the optimal controller configuration for RAID-10 and SSD disks and every tip is important to me. I would just follow the best practices of your hardware manufacturer. This isn’t really a VMware question on what’s best settings for your hardware raid.